SUMMER CAN BE HARD ON OUR SKIN. LONG DAYS IN THE SUN, SWEATY ROUNDS ON THE TENNIS AND VOLLEYBALL COURTS, LAKE-SHOWERS, AND LATE NIGHTS BY THE BONFIRE = ROUGH ON OUR FACES AND BODIES. 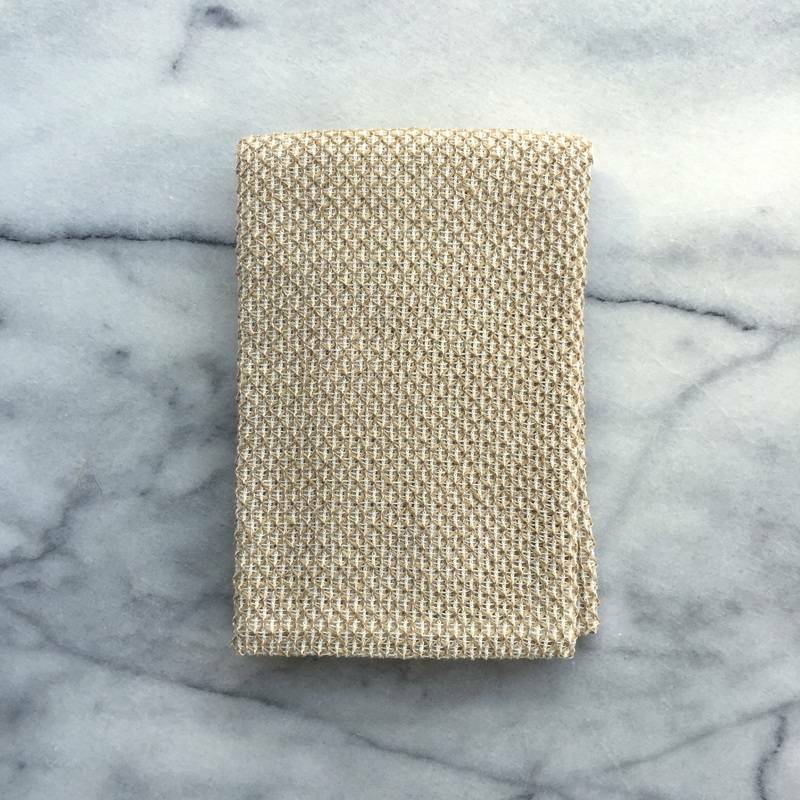 WE ARE OBSESSED WITH THESE JAPANESE MESH SCRUB TOWELS, MADE FROM 70% COTTON AND 30% WASHI PAPER. THAT'S RIGHT - PAPER. THIS INGENIOUS BLEND IS STRONG, DURABLE, ABSORBENT, AND VERSATILE. PERFECT FOR EXFOLIATING YOUR FACE AND BODY IN THE SHOWER, THEY CAN ALSO BE USED DRY TO BLOT OILY SKIN. THEY DRY QUICKLY AND ARE NATURALLY ANTIBACTERIAL. YOU CAN ENJOY THIS GORGEOUS MINNESOTA SUMMER WITHOUT SACRIFICING YOUR SKIN! IT'S A WINNER!